While I don't travel with a suitcase all that often, I wish I'd had these Small Packing Cubes by Dot&Dot when our family traveled to Washington, D.C. They sure would have been useful! I was able to use my set of Dot&Dot Small Packing Cubes recently on a weekend getaway trip with my family. I was pleasantly surprised to find that the zippers on these packing cubes are very well made, unlike a lot of other zippers these days. 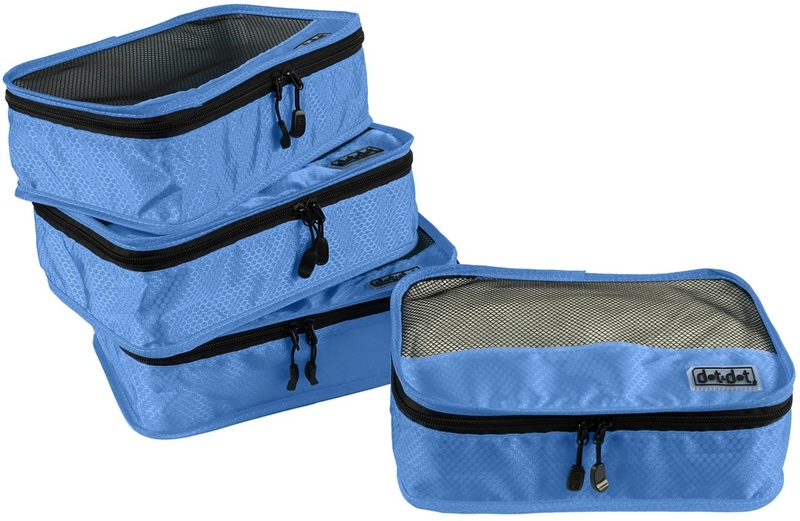 The zippers here on these packing cubes are sturdy and easy to grip and use. Great job, Dot&Dot! 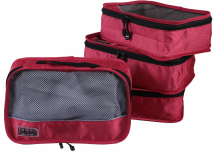 I like the fact that the packing cubes by Dot&Dot are available in a variety of colors: gray, green, purple, pink, red, dark blue, light blue, yellow, and orange. That's a great selection! For those of you with larger families, that's 9 different color choices making it easier to keep track of whose clothing goes where. The Small Packing Cube has the following size measurements: 11" x 6.75" x 3" - just right for socks and underclothes. In the photos above, did you notice that the packing cubes have a see-through mesh panel at the top that allows you to easily find exactly what you're looking for in your luggage? Neat! 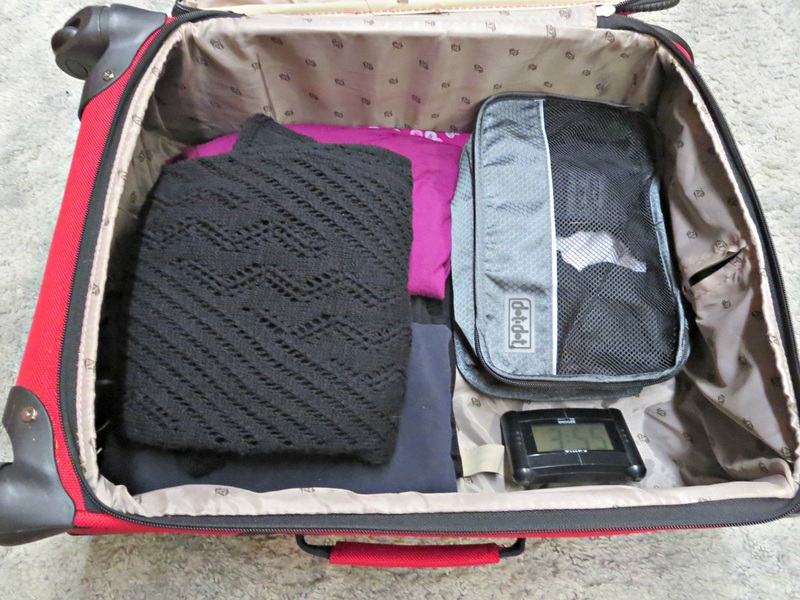 Folding clothing properly in these packing cubes will also minimize wrinkles so you won't hopefully need to iron when you arrive at your destination. To make unpacking easier for children, packing cubes can be used to pack each day's clothing into a separate packing cube. Your children would pull out a packing cube and get out their clothing for the day. Easy! 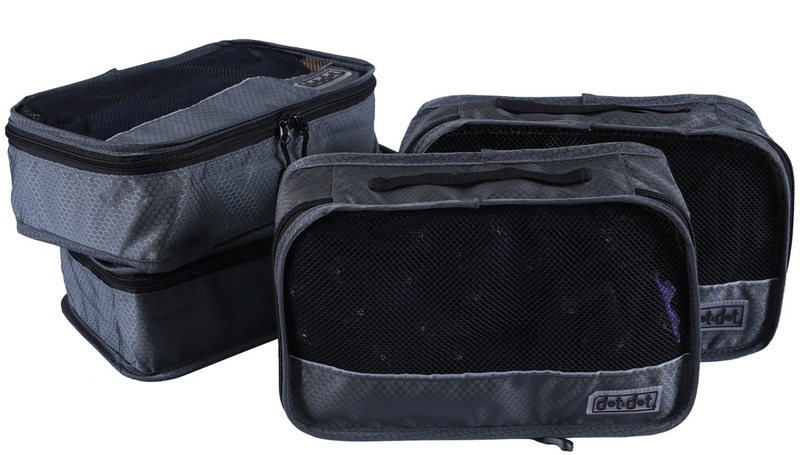 The Dot&Dot Small Packing Cubes fit easily in your luggage, duffel bags, suitcases, backpacks, and other bags. You won't want to miss my FREE Trim Healthy Mama-inspired, low carb-style recipes, tutorials, giveaways, and deals - get them delivered fresh to your inbox!